Thanks for visiting me today. This is my second "meh" card (refer to yesterday's post for my first one). 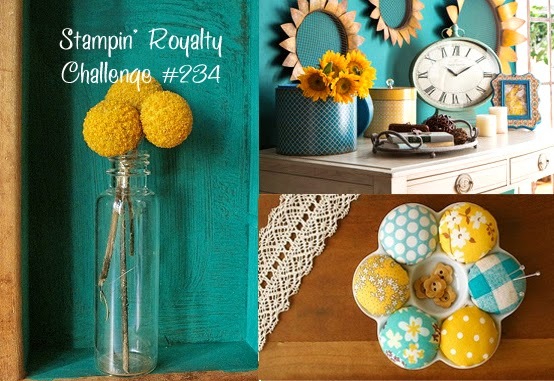 I made this card to cover three challenges - The Friday Mashup to use sequins and/or make a hello card; Stampin' Royalty who have a gorgeous inspiration photo and a new-to-me challenge called Keep it Simple who have challenged us to use turquoise. I hope Bermuda Bay is turquoise-y enough. 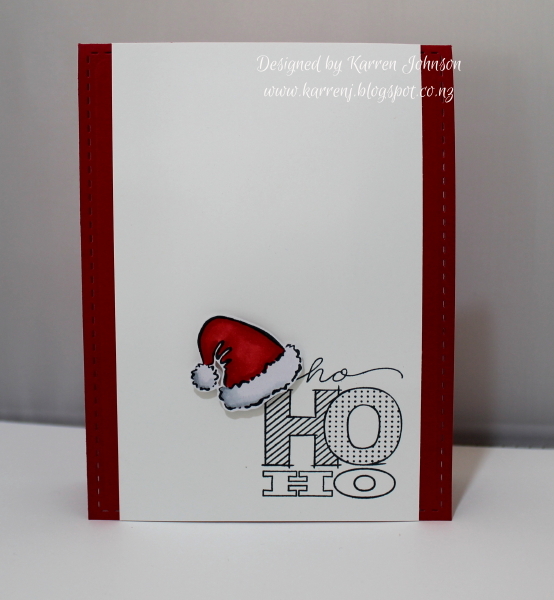 The hello die was cut from Whisper White cardstock then I used some silver sequins to finish off the card. 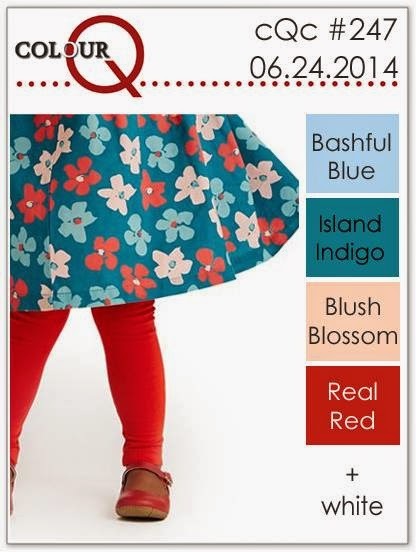 The challenge at Fab Friday this week is to use all five of the new In Colors. 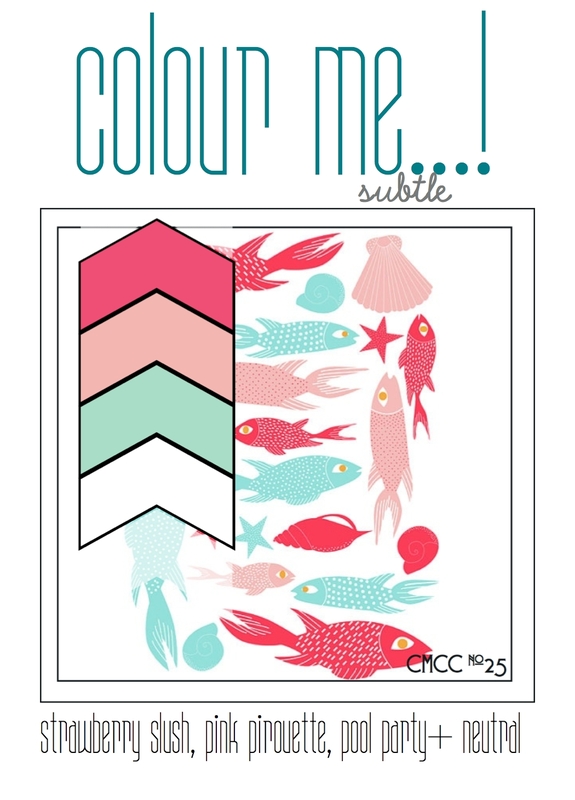 Now this IS a challenge, because (a) I've only just got the new in-colors and (b) I only like one of them yet. So I decided to make myself use them in the hopes I would like more than just Lost Lagoon! This card was originally going to be my Freshly Made Sketches DT card until I realised I hadn't followed the sketch. Doh! I used a new-to-me set called April Showers from Clearly Besotted. I've been wanting this set ever since it came out and I love it! 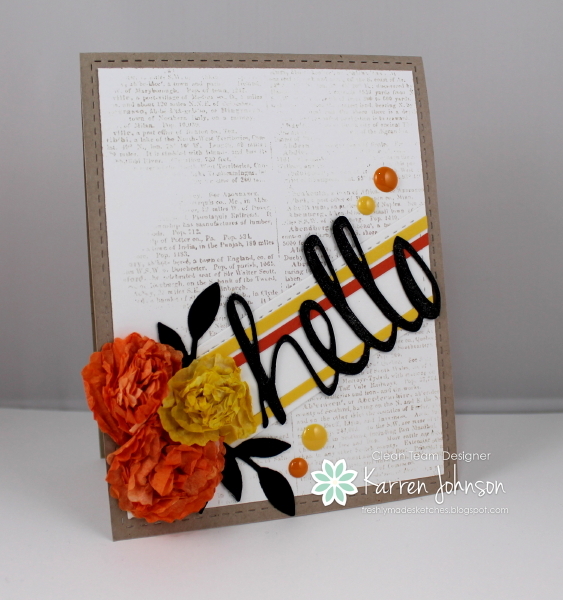 I die cut the umbrella then stamped it with Tangelo Twist, Hello Honey and Mossy Meadow. I colored the handle with a blender pen and some Mossy Meadow ink. 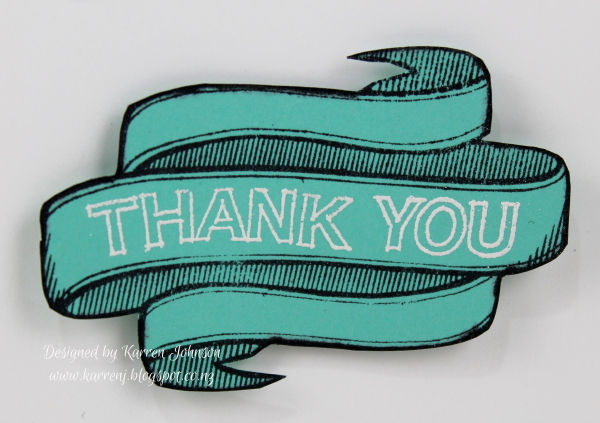 The sentiment was stamped using Blackberry Bliss ink. The raindrops use Lost Lagoon as does the die cut tile pattern. I finished the card with some orange twine. It's Freshly Made Sketches day and today our hostess is the gorgeous and funny and talented Jen Brum. 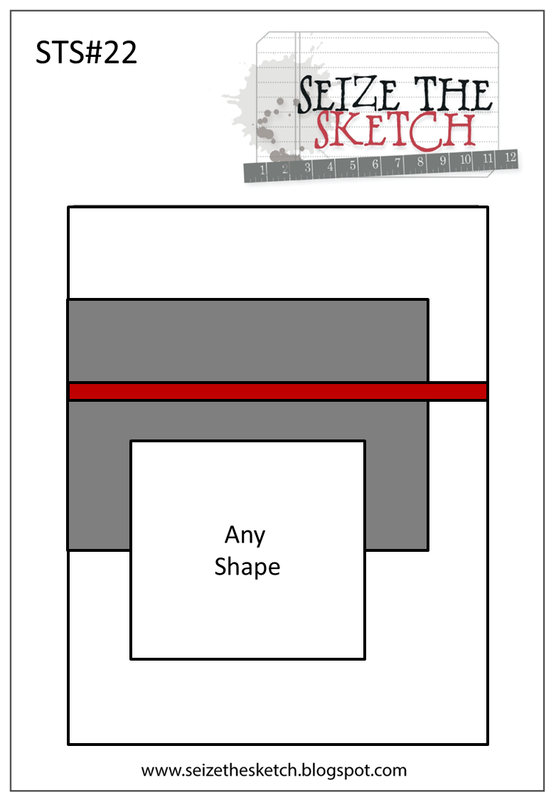 Jen's sketch allows for a lot of creativity so I can't wait to see what you all come up with! I decided to go with a masculine card this week. My main panel used the Whitewashed Woodgrain Technique which I saw on Stamp TV. I'm not sure I did it properly because I watched the video a few days ago and worked from memory - and at my age, my memory isn't to be trusted! Anyway, I think it turned out okay. I used the new Lost Lagoon color - love that color! I die cut a leaf then stamped it with Mossy Meadow, which is quite a nice dark green shade. The die-cut 'happy' was cut in Lost Lagoon and Black and then slightly offset to give a shadow effect. Thanks for visiting. 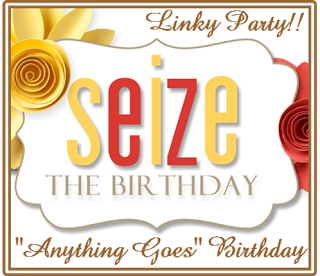 I'm also linking this up to Seize the Birthday who have an Anything Goes challenge this week. 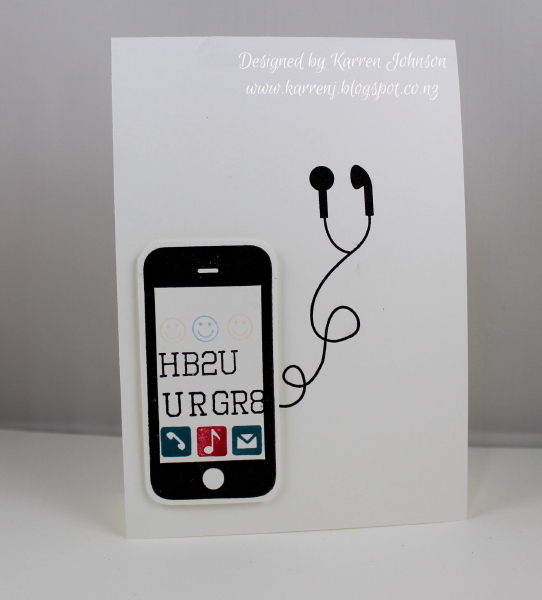 The rest of the Freshly Made Sketches Design Team have some fabulous cards for you this week, so go check them out. I had some unexpected stamping time today as I had to take the day off to look after a sick boy. I chose to make a card using the colors from Just Us Girls and the sketch from Viva la Verve. 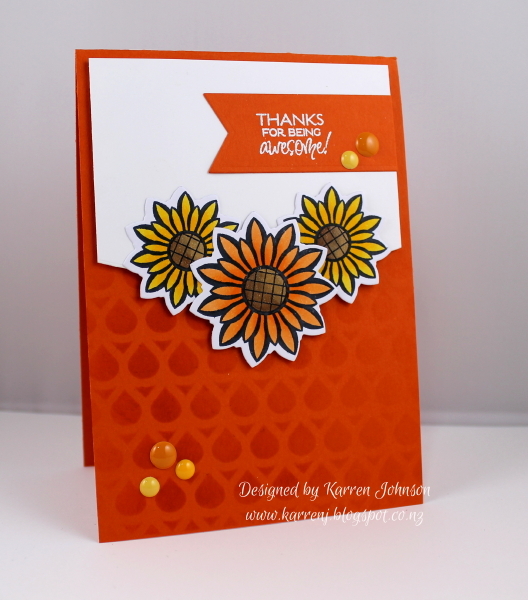 This card uses the new In Color Tangelo Twist. I sponged some ink over a stencil cut using my Silhouette, focusing on the bottom left and lightening it up as I moved across the card. The flowers are from Lean on Me and colored with Copics. I colored the centers with Wink of Stella for a little bit of shimmer. 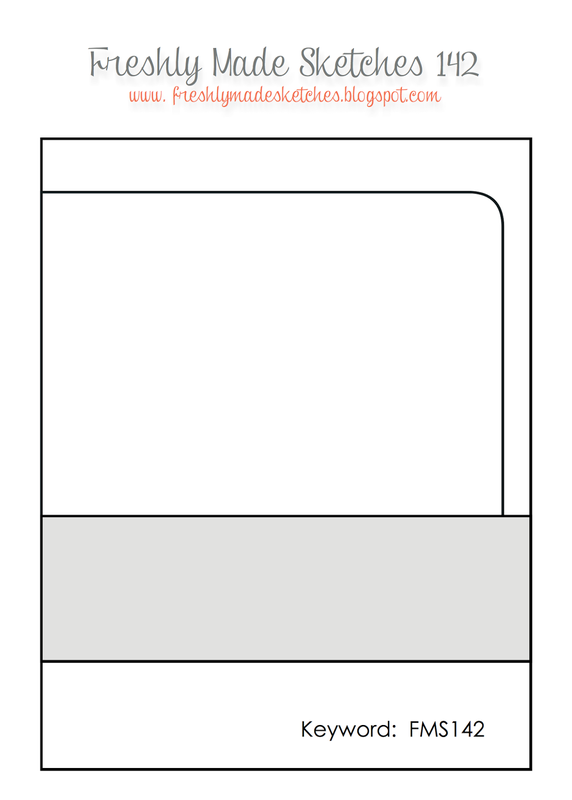 The white panel is raised up on dimensionals. 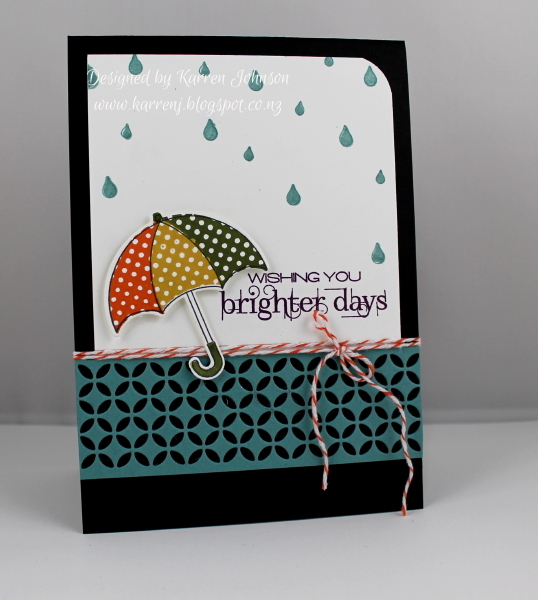 Some enamel dots from Freckled Fawn finish the card. 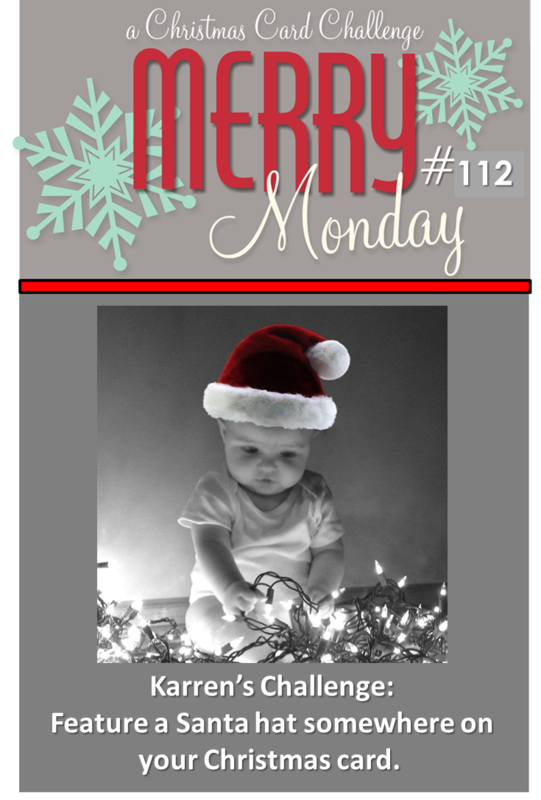 Here we are again with another Merry Monday challenge. I hope you're building up your Christmas card stash with our challenges. 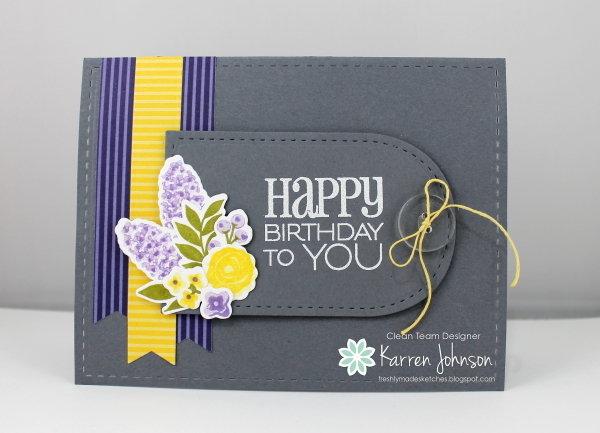 Today's challenge from Katie is to add sparkle, shimmer or shine on your card. It's always hard to see glitter in photos, so I'll explain what I've done with this card. The card base was spritzed with Frost White Shimmer spray and the bottom was cut with a curved die so some silver glimmer paper could show through. After the scene was die cut, I colored the roof of the house and the branches of the trees with a Versamarker, then heat embossed with Irridescent Ice embossing powder. Here's a close-up from another angle so you can see a bit of the shimmer. Thanks for visiting. 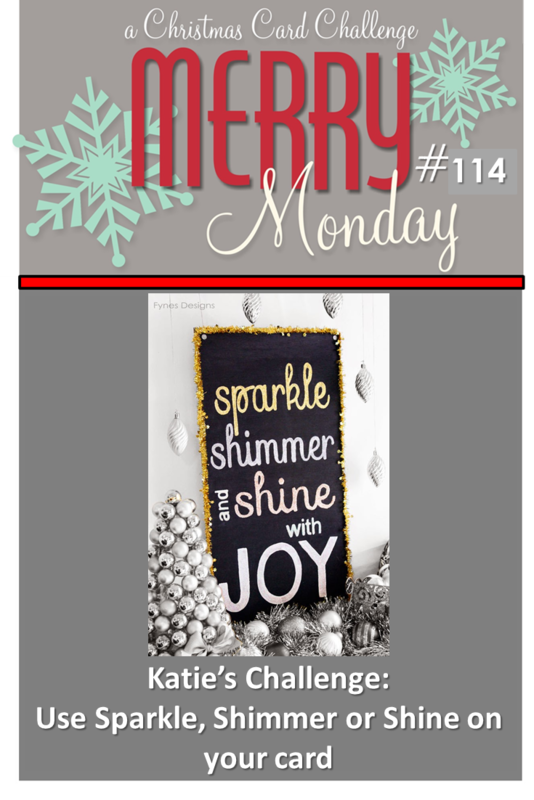 Be sure to head on over to Merry Monday to check out the glittery and shimmery creations from the rest of the design team, who obviously don't have the same glitter issues that I have LOL. It's Sunday night here and I haven't had a lot of time to stamp this weekend. I did manage to squeeze in half an hour earlier this evening to make a quick card using the sketch at Pals Paper Arts and the colors at Colour Me. I chose to use a stencil cut with my Silhouette for the horizontal panel. I masked the top and bottom of the card base with some torn paper then sponged Pink Pirouette ink over the stencil. The banner was cut using the banner framelits then stamped with a very, very juicy Strawberry Slush inkpad. The banner was layered onto a piece of Strawberry Slush cardstock and trimmed very close. 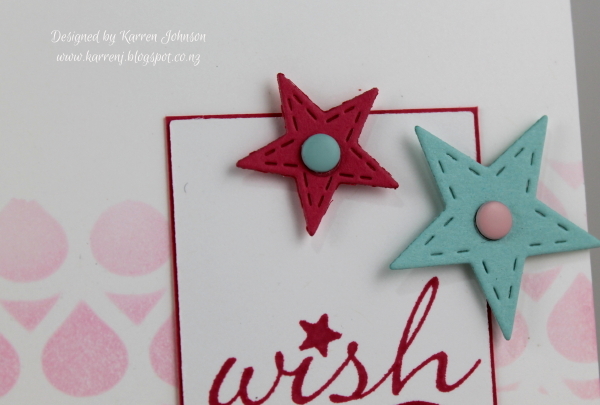 Finally, I cut two stars in Pool Party and Strawberry Slush from the Lil Inkers Stitched Stars dies. I placed a candy dot in each and mounted them using Dimensionals. Thanks for checking out my very CAS card. 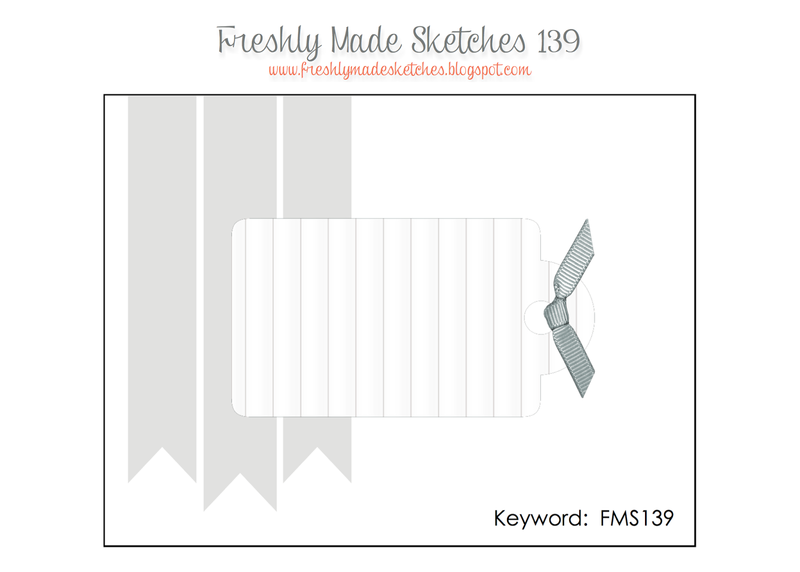 It's Freshly Made Sketches day and that means another cool sketch for you to try. This week the very talented and sweet Cindy Hall is our hostess and she has come up with this fabulous sketch. For my card, I pulled out a sheet of First Edition DSP that I'd painted with Gesso some time ago. I cut it to fit the sketch and layered it onto Very Vanilla. 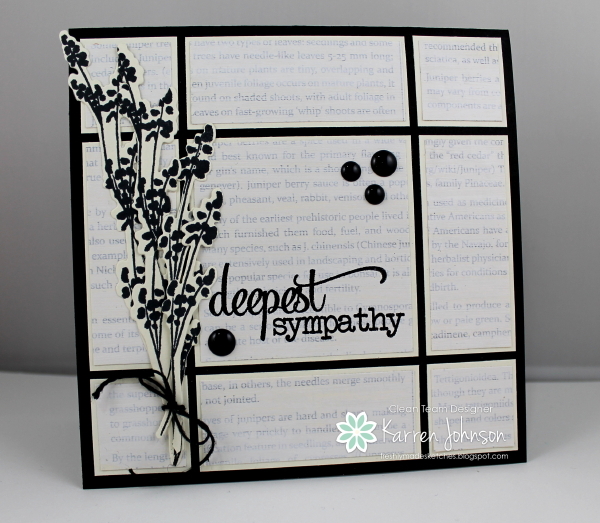 The sentiment is black embossed over the Gesso layer. I die cut and stamped various images from Larger Than Life and arranged them on the left-hand side of the card. This is a very simple card, but quite effective. Thanks for visiting. The rest of the design team has some fabulous inspiration for you. I hope you have time to join us this week. Hi! 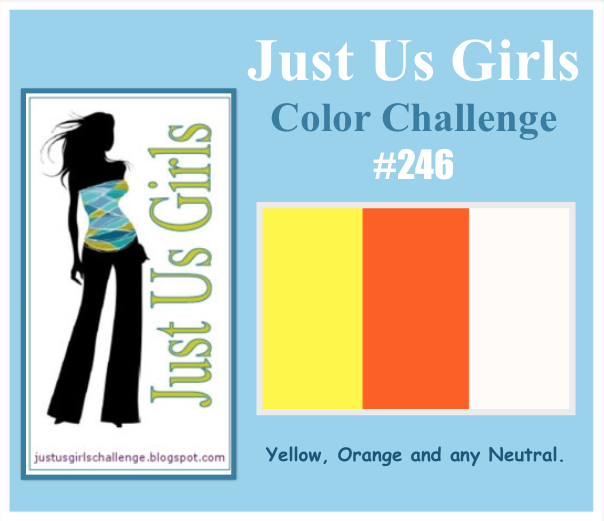 It's Merry Monday challenge day and this week Kathy has given us a color challenge. I stamped Frosty Friends onto some Whisper White cardstock and colored portions using various pink Copic markers. I then took a grey Copic to add some shading to the snowmen. 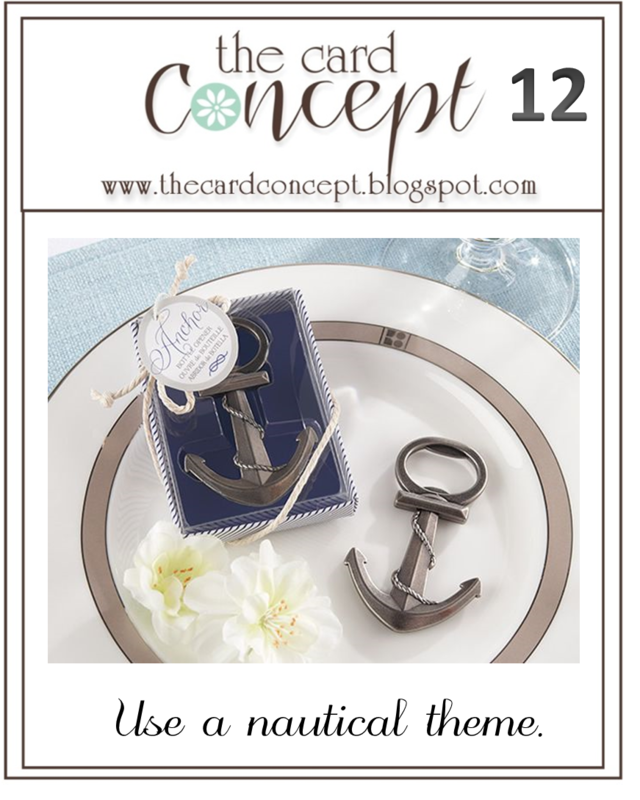 The sentiment is embossed in Pewter Embossing Powder. I used Regal Rose as my pink and what is hard to see in the photo is some translucent embossing paste on the large Whisper White panel. Thanks for visiting. 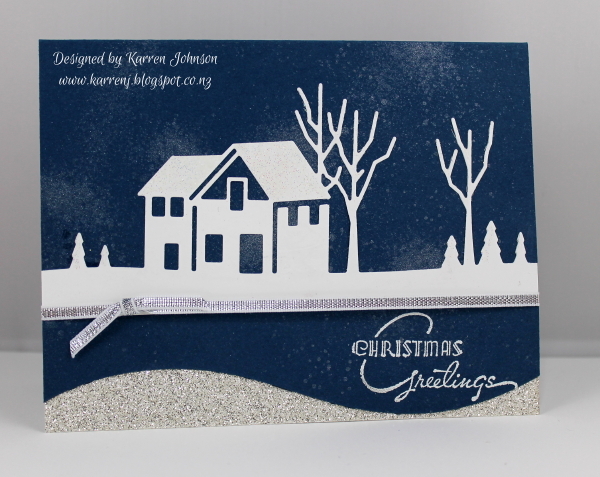 Head on over and check out the rest of the design team if you haven't already - they have some fabulous cards! As soon as I saw the sketch at Retro Sketches, I immediately thought of color blocking. 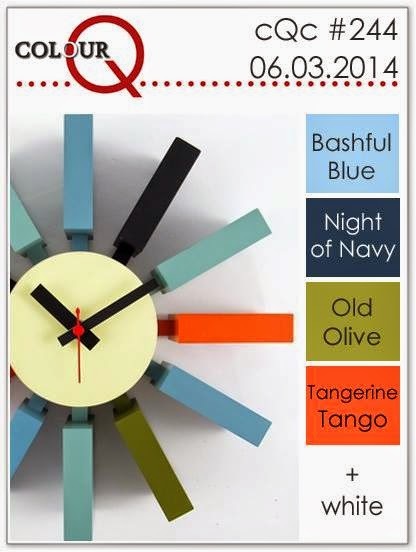 I love color-blocked cards but I have to confess it took me quite a while to choose the colors! 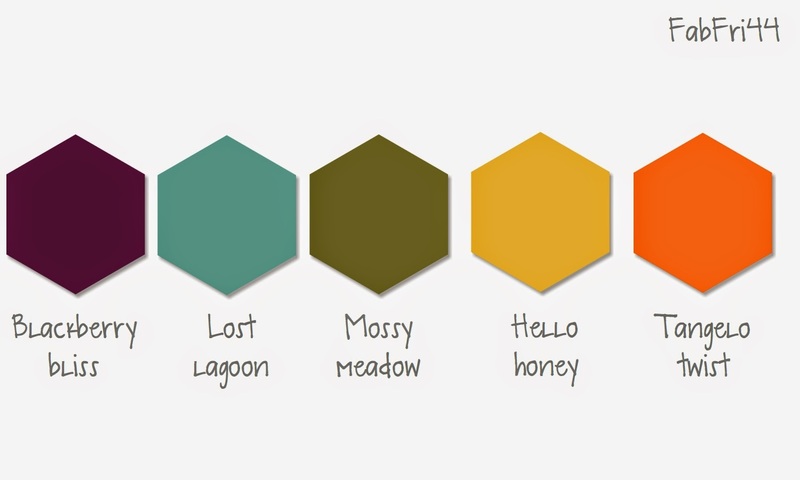 I knew I wanted to use the gorgeous new Lost Lagoon and Basic Black, and I ended up combining those with Riding Hood Red, So Saffron and Wild Wasabi. It's a bold color combo for me, but I quite like it. This is just a fun card and it uses six stamp sets. Each of the panels was cut into 1 1/4" strips then stamped with various stamps. All of the panels were stamped first with Off the Grid to give some continuity to the pieces. 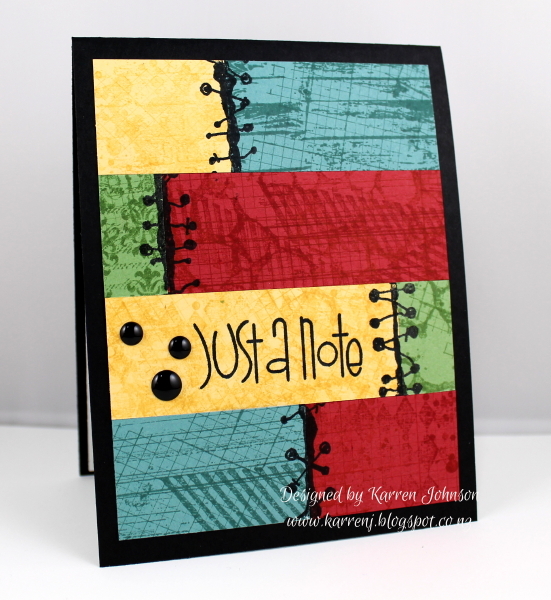 Once I had all the stamping done, I cut the pieces to size and over-stamped with the Binding Edge stamp from Stampers Anonymous. It wasn't until after I'd stuck all the pieces to the card base that I remembered I wanted to sponge around the edges - doh! Hi and welcome! 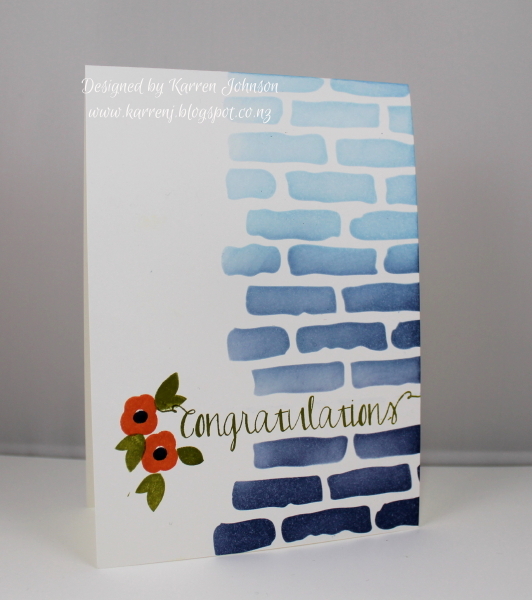 Today I made a card using a new-to-me stamp set and a new In Color. I used the sketch from Seize the Sketch and the inspiration from Card Concept to come up with a clean and layering card. 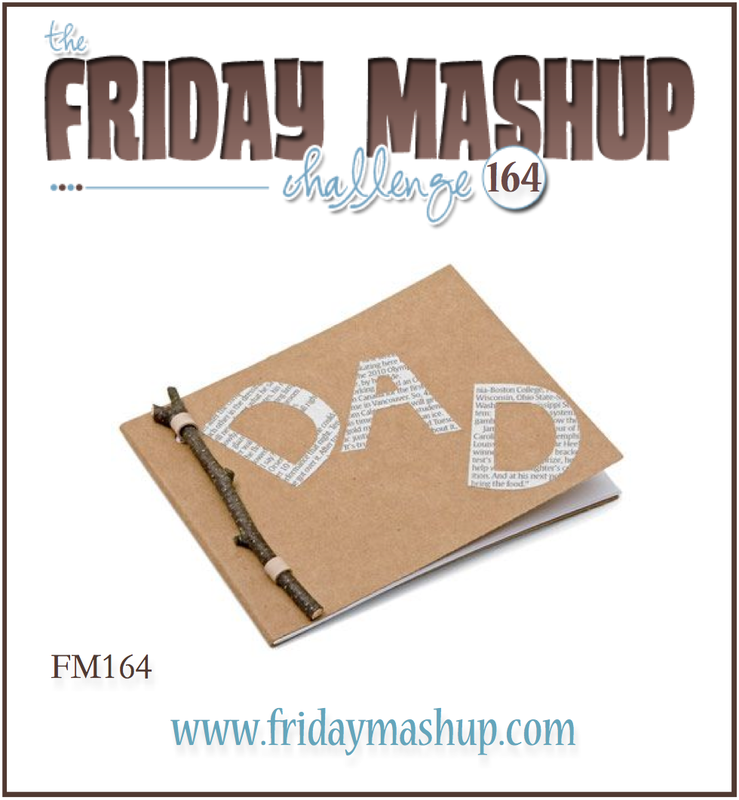 I also used the theme from Friday Mashup to stamp on something other than cardstock and make a card for Father's Day. For my card, I used the Faux Silk technique and stamped onto tissue paper. The stamp set I used is called Travel Ways by Stampers Anonymous and has a lot of cool collage-y images. 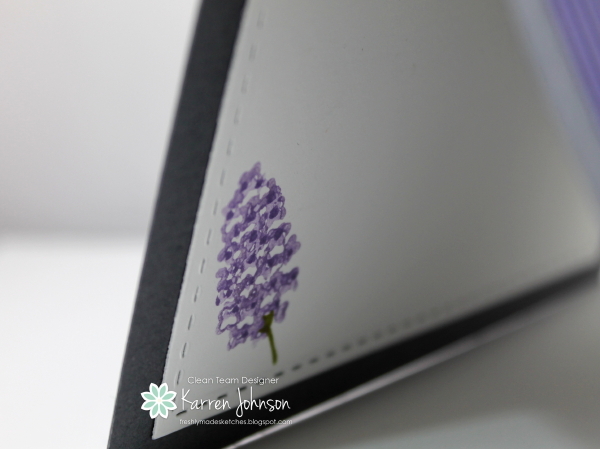 I stamped a number of images onto onto the card base and also onto white tissue paper. I then scrunched up the tissue paper before adhering it to a Very Vanilla panel. 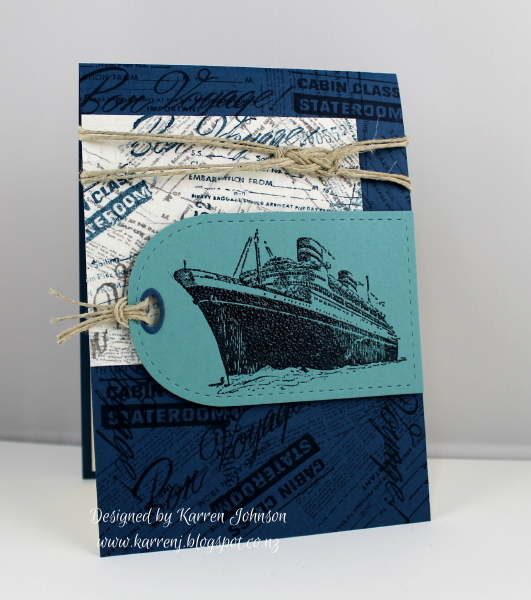 The ship was stamped in Midnight Muse ink and embossed with Clear Embossing Powder. I used the new In Color that immediately appealed to me - Lost Lagoon - love that color! I googled a Sailor's Knot and tied it using Hemp Twine. 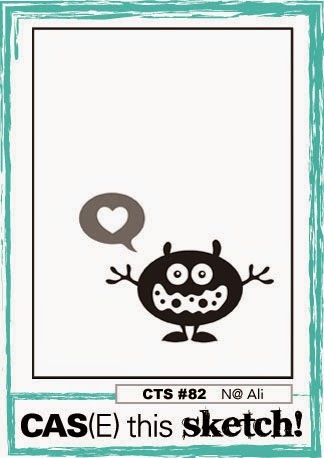 Edited to Add: This card got a shout-out at Seize the Sketch. Diagonal elements are very trendy now and luckily, I'd just received an order of Lil Inker dies that included the On the Diagonal die, so it was put to use on my card. I started with a Crumb Cake card base and "finger-walked" the Dictionary background stamp onto a piece of Whisper White using Crumb Cake ink. 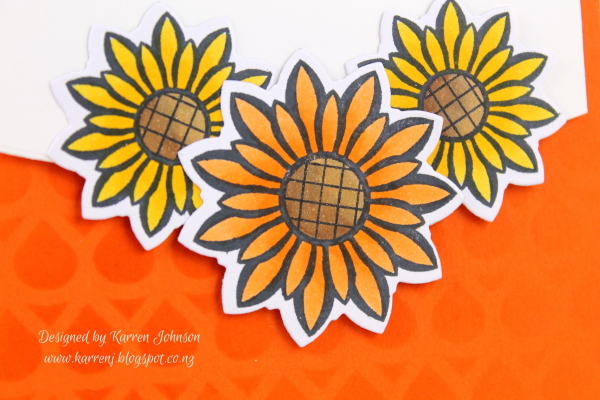 The flowers were made using some white tissue paper which I colored using Tangerine Tango and Daffodil Delight ink. For the orange flowers, I actually sponged Tangerine Tango ink onto both sides of the tissue paper. By the time I got to the yellow flower, I was sick of that, so just used the Direct-to-Paper technique and smeared Daffodil Delight ink straight onto the tissue paper. I cut about six scalloped circles out for each flower and squished them up. The diagonal panel was cut with the Lil Inkers die then I stuck little strips of cardstock to keep as close to the sketch as possible. 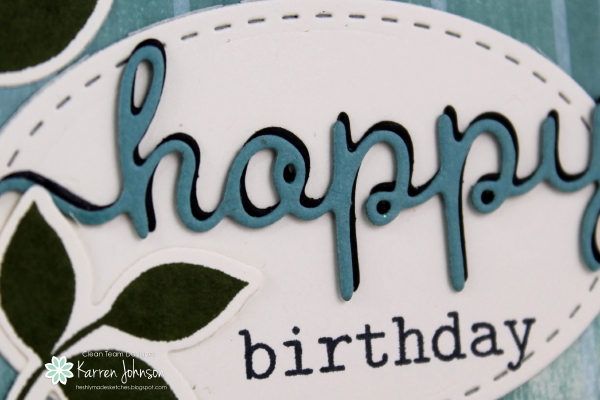 The sentiment was die cut and painted with Wink of Stella so has a lovely shimmer in real life. I'm also entering this card in the Fusion challenge. The inspiration I took from the photo was the flowers and the text. Thanks for visiting. 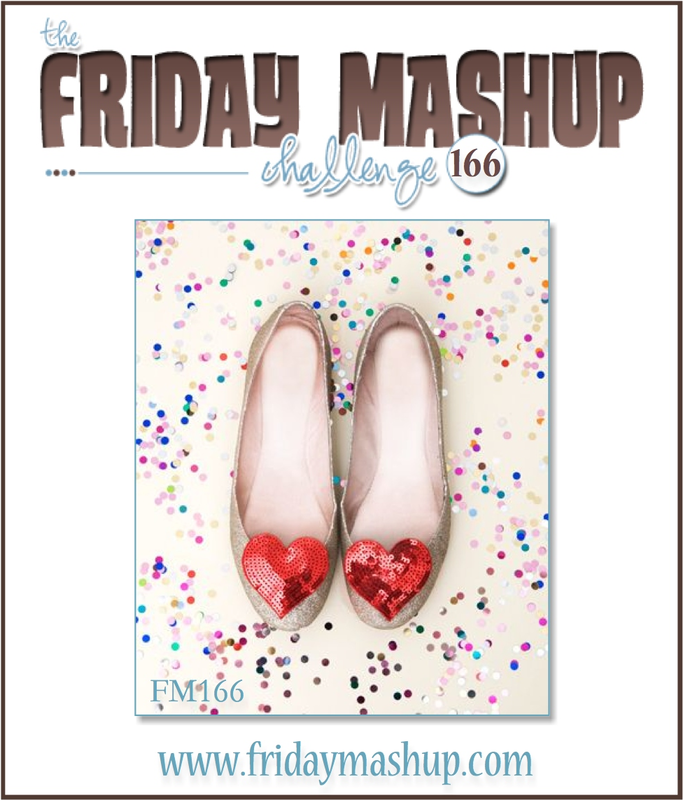 Check out the fabulous inspiration from the rest of the design team! Apologies if some of you are experiencing deja vu at the moment. I accidentally published this last week - a week early. Doh! 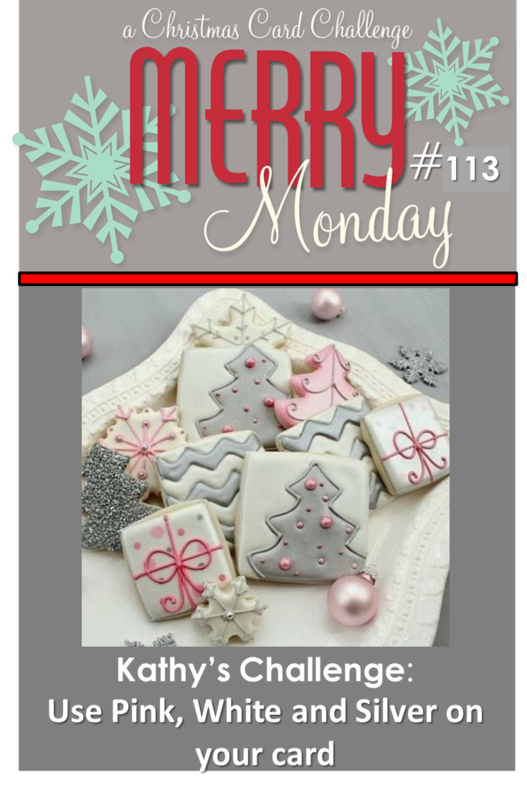 It's Merry Monday Challenge Day and this week it's my turn to host the challenge. I saw this adorable photo on the internet and had to make a challenge out of it! 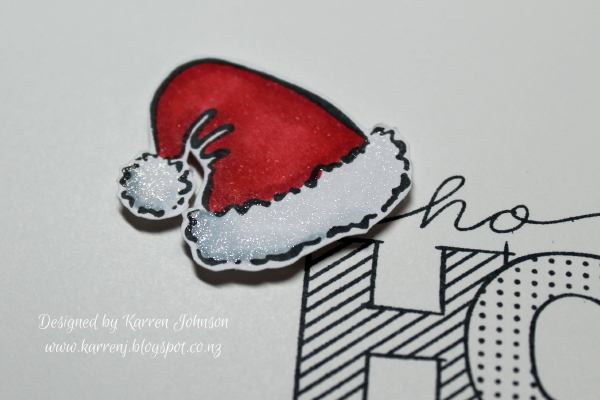 For my card, I again went CAS and used an old HeroArts stamp of a Santa hat that I've had for years. I stamped my hat onto Xpress-it cardstock and colored it using Copics. I went over the white bits with my Wink of Stella pen and you see a bit of the shimmer in this next photo. 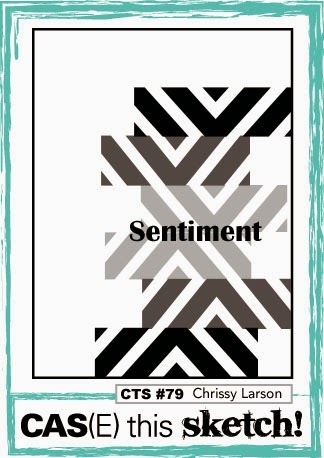 The sentiment stamps comes from Close to My Heart and was stamped in Memento Tuxedo Black onto Whisper White cardstock. The card base is Real Red embossed with a Lil Inkers Stitched Mat die. Thanks for visiting! Hope you have time to check out the rest of the DT cards and give my challenge a go. It's Sunday morning here and I have a card that I made yesterday using the sketch at CAS(E) This Sketch and the colors at ColourQ. My first thought when I saw the sketch was brickwork so that's what I went with. I taped my stencil onto my card base then very lightly sponged Bashful Blue ink at the top, darkening it as I went down the card. I then switched to Night of Navy ink and very, very lightly joined that with the Bashful Blue. The bottom of the card is full-strength Night of Navy. 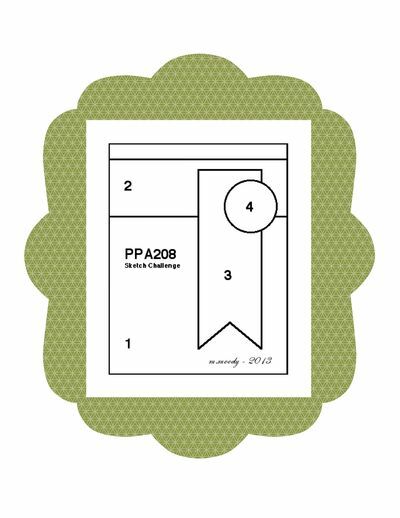 NB: I'm also entering this at a new to me challenge called Paper Crafting Challenge. Their challenge is to use stencils. 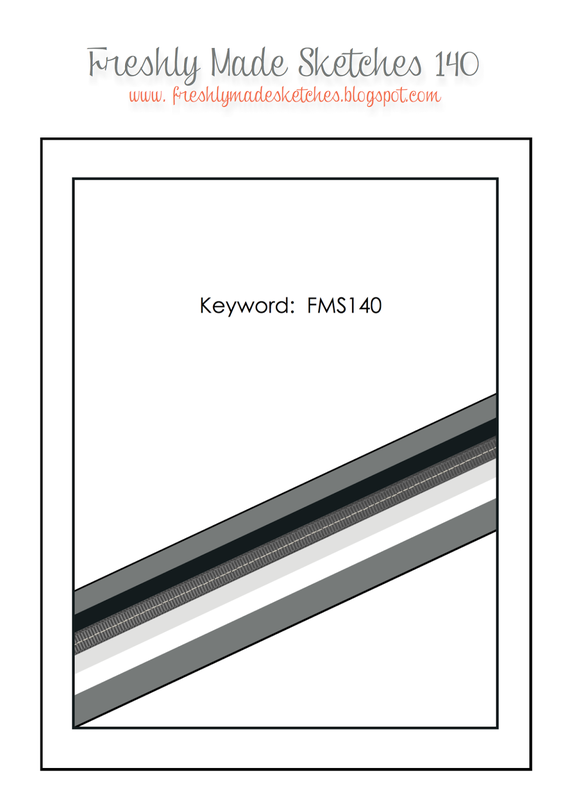 Edited to Add: This card got an Honorable Mention at CAS(E) This Sketch. 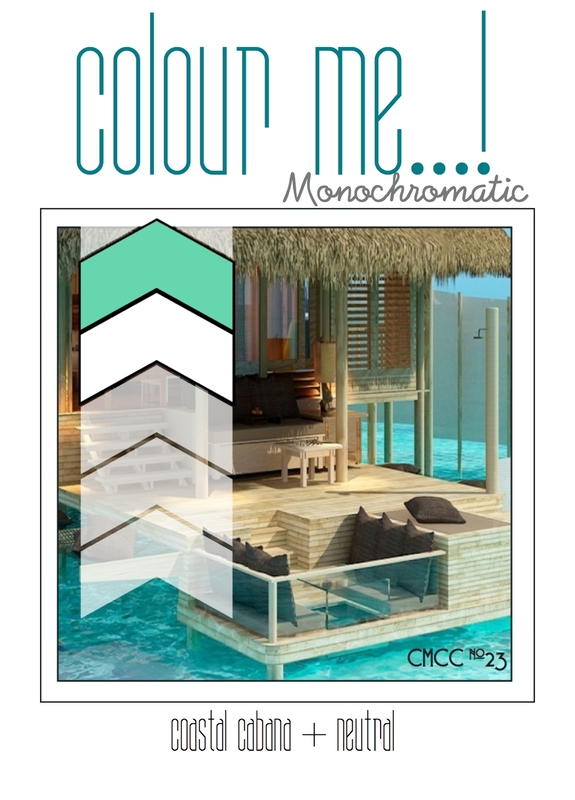 Today I have a very CAS card which uses the colors from Colour Me - Coastal Cabana and a neutral. 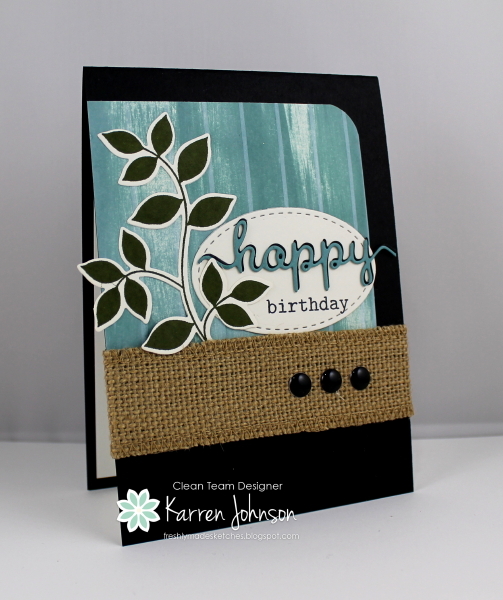 I used the Banner Wishes set from CTMH and stamped the banner in black onto Coastal Cabana cardstock. 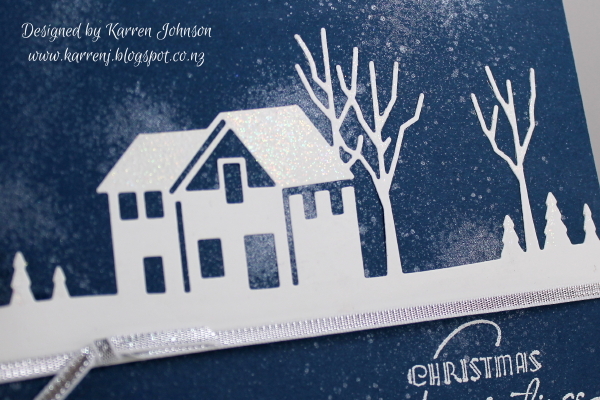 I then white embossed the sentiment onto the banner. After I cut it out, I went around the edges with a black marker. A few enamel dots and my card was done. 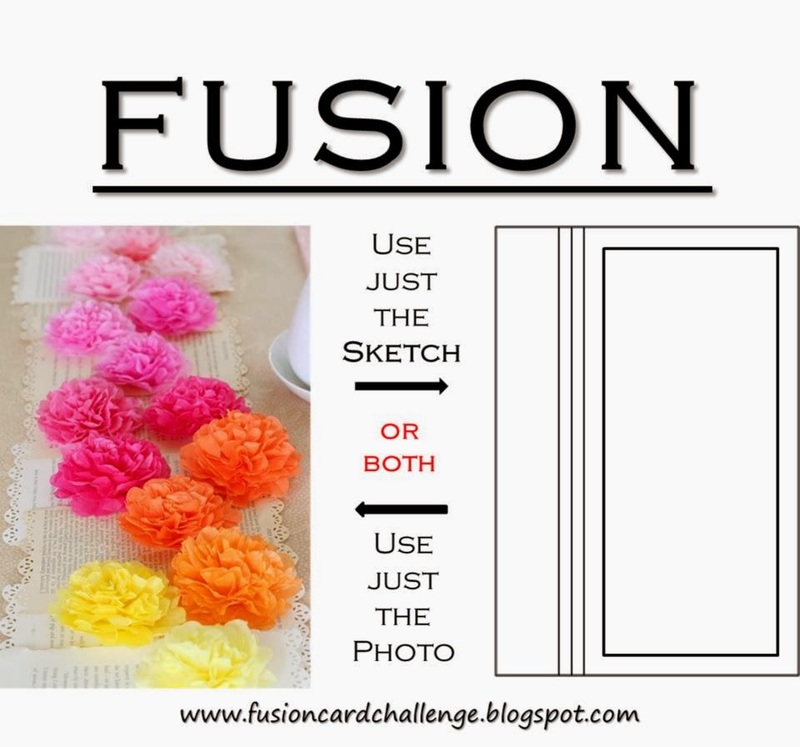 Today is Freshly Made Sketch Challenge day and this week our hostess is the very talented Rita Wright. Rita has a cool sketch for us incorporating a tag. I love tags but rarely remember to use them! For my card, I decided to use pops of color against a dark background. I started with a Basic Gray base and tag. 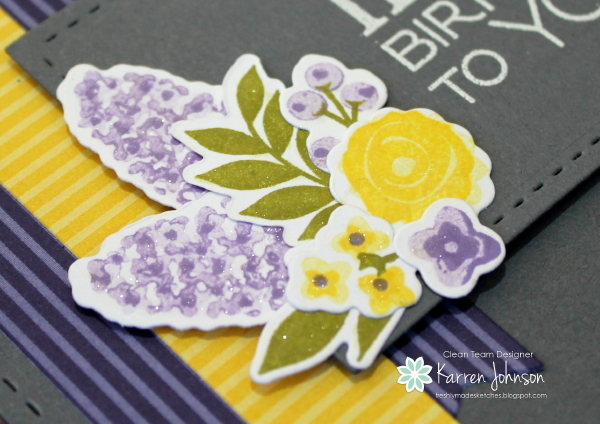 I then used the die cuts from Fresh Cut Florals and stamped various images using purple, yellow and green inks. For the flags I used retired DSP in a striped pattern. 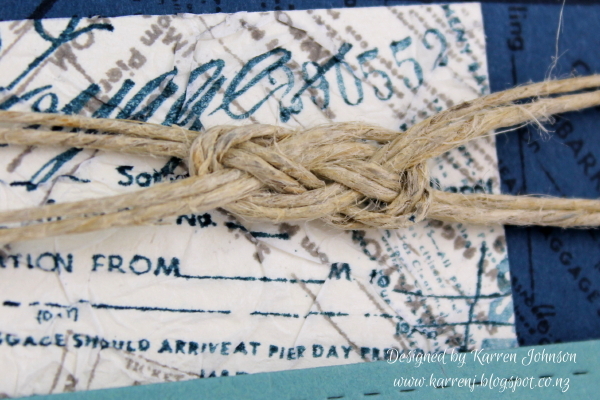 I finished off the card with a clear button and some yellow twine. Of course I put some Wink of Stella on the flowers! You can barely see it in this photo. The inside is finished very simply. Thanks for looking. Don't forget to check out the rest of the design team's card - they're sure to be awesome as always!